MY CHILD IS BEING BULLIED AT SCHOOL - WHAT CAN I DO? What Can I Do When My Child is Being Bullied at School? Parents are very concerned when they ask, “My child is being bullied at school – what can I do?” There is very much now that can be done, even when a school does not co-operate. When you tell the school, “My child is being bullied at school,” you may not get much action. It could be that the school is not aware of their responsibility – they may need to be educated! There are strong Federal Laws and even stronger New York Laws that require schools to monitor for and eliminate bullying. It is well-established that bullying can cause depression, anxiety and eating disorders – it can even lead to suicide. The burden on schools to prevent, notice and eliminate bullying has become very high. A safe learning environment for all students is now a very high priority in New York, and throughout the country. Despite the efforts of legislators to put pressure on schools to prevent bullying, it is still up to parents to hold schools responsible when they are lax in eliminating bullying. Verbal abuse is when there “namecalling” or other types of verbal attacks, out loud or in writing. What you believe the basis of the bullying is, for example, race, gender, ethnicity, sexual orientation, disability, lifestyle, etc. Include a description of the type of bullying, such as verbal, physical, sexual, rumors, social exclusion, cyberbullying (online,) etc. List every person that is involved in the bullying. Is it teachers, students or other personnel. State where the bullying occurs, is it in school, in the schoolyard, after school or on the bus. List the names of all the people that the child has complained to. Racial: When racial slurs, threatening taunts or other actions are based on the race of a student. National Origin: When the harassment is based on a real or perceived belief about where the child or their families members were born. Sexual Harassment: When students, usually girls, are taunted about the size of their breasts or other sexually related characteristics. If you know or suspect that your child is being bullied at school, the first step is to speak to the parents of the likely bully and the school. If nothing is being done to eliminate the bullying, you may need an experienced Child Injury Attorney to help you. See our blog article on bullying at school and call us for FREE CONSULTATION. Learn how a top accident lawyer can show compassion for your situation and clearly explain all the options. Please explore our blog and feel free to CONTACT US. 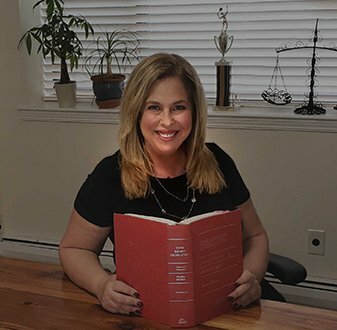 From Car Accidents to Police Brutality, you can count on Alyce B. Wittenstein, Esq. to go the extra mile. MY CHILD IS BEING BULLIED AT SCHOOL?